If you’re past the age of 12, you probably think you’re through losing your teeth. But did you know we can actually grow teeth until age 21, and even beyond? Our wisdom teeth are usually pretty late bloomers — and unfortunately, their existence can also cause a host of problems in an otherwise healthy mouth. Your Houston oral surgeon at Piney Point Oral and Maxillofacial Surgery has performed a significant number of wisdom tooth extractions, and is here today with a little more information on the common procedure. If you know or suspect you’re experiencing any of these problems related to your wisdom teeth, don’t hesitate to schedule an appointment with your dentist today. Once you’re referred to or schedule your appointment at Piney Point Oral and Maxillofacial Surgery and we confirm that your wisdom teeth should be removed, you’ll have your procedure in a following appointment. A local anaesthetic will be administered for your comfort, though general anaesthesia is also used for the removal of all four wisdom teeth, or for patients who prefer to be totally relaxed throughout the procedure. 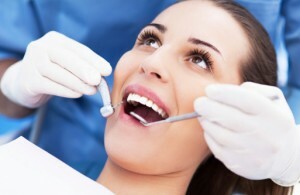 To remove the tooth or teeth, Dr. Weil or Dr. Koo will expose the tooth and remove any bone that may be covering it. Once all bone and connecting tissue has been taken out, the tooth can be extracted. After they’ve removed the tooth, your Houston oral surgeon may close the gum with stitches. The recovery period for wisdom teeth extraction should last only a few days. Your surgeon will prescribe painkillers to help you manage the pain, and these should be taken as directed. Relaxation, a soft diet and ice pack application in 20 minute intervals can all help to reduce pain after the surgery. If you know you need wisdom teeth extractions, don’t wait to call the specialists at Piney Point Oral and Maxillofacial Surgery in Houston, TX. We serve the Houston, TX, area and the surrounding cities of Stafford, Bellaire, Lamar Terrace, Briargrove, Hedwig Village, and Katy. by: Piney Point OMS at October 21, 2015 .